Miss, twins rarely alone: ​​PUK Wing Twin Top of Light is the twin-lamp version of the PUK Wing. The versatility of the PUK series also comes to bear here: housing surface, filters and glasses can be customize, as well as the length of the luminaire arm. 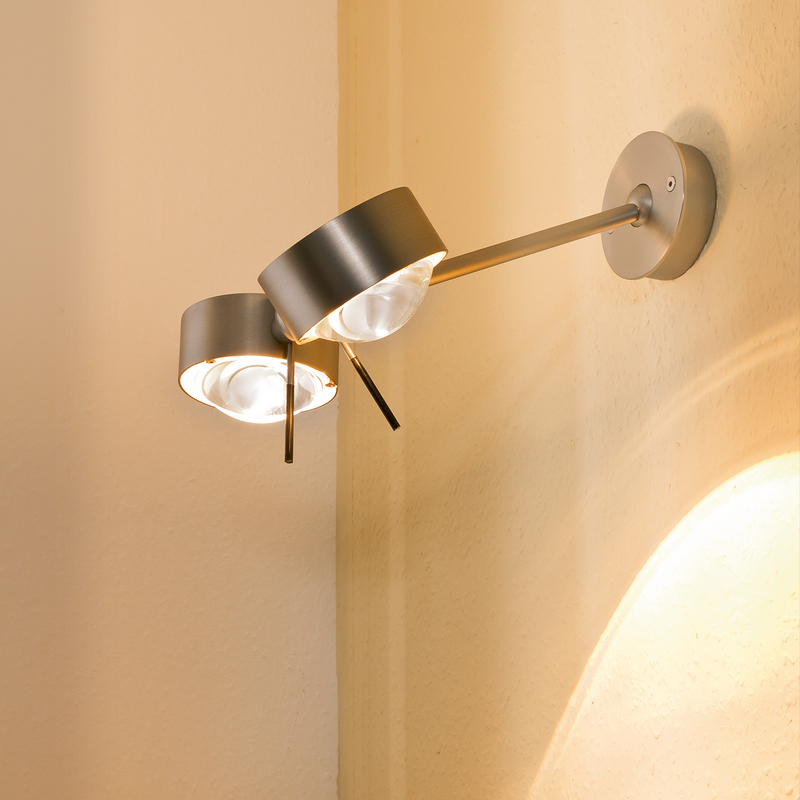 This is up to 120cm in length and makes the Top Light PUK Wing Twin a versatile light for each context. The wall and ceiling lamp by Top Light is easily assembled using a modular principle. If you want a different capacity for the two lamp heads, please let us know by mail. Otherwise, both screens are equipped the same as those adopted by you wishes.